Angel food cake, that is. As a fat free cake it would almost be healthy if it wasn't for the rather large amount of sugar. Its what I imagine pavlova would be, if it were a cake. 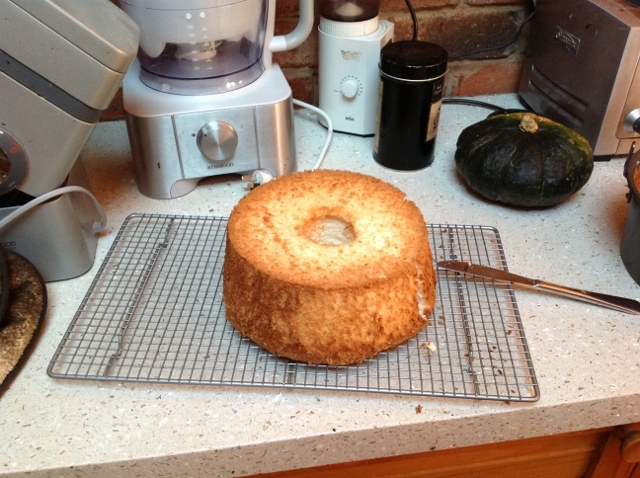 I made my first ever angel food cake today using the recipe from the David Lebovitz's fab blog...although I almost got distracted by his marshmallow recipe. 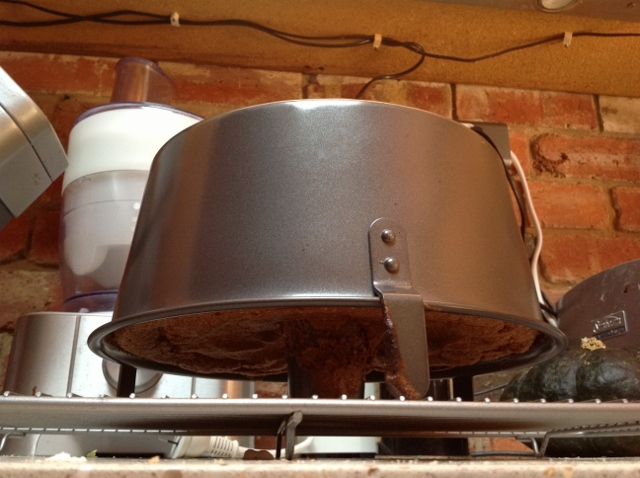 I must confess to some trepidation when turning the cake upside down to cool, but all's well that ends well. 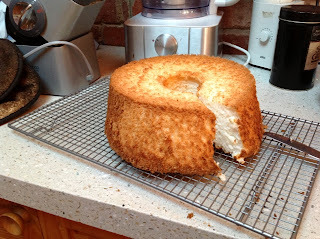 It is very light and fluffy. 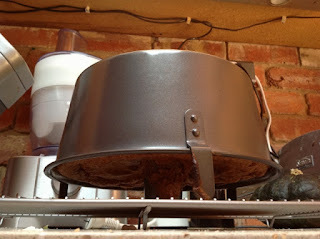 Perhaps slightly moist, but it was my first go so I'm going to be forgiving as it seems to have the right texture. Now that I have tasted it, I can see why he paired the cake with some plum and raspberry compote as it's almost (not quite, but almost) too sweet for me, and the plums would be a lovely counterpoint. Needless to say Jerry has never met a cake (or anything else for that matter) that is too sweet for him!